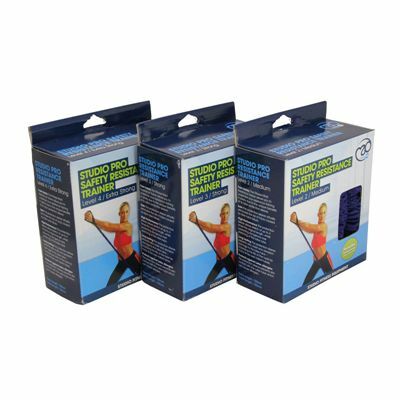 The Fitness Mad Mad Safety Resistance Trainer Medium is the second lightest safety resistance trainer from Fitness Mad and is excellent for those familiar with resistance workout. It includes 12 page A5 resistance training and usage guide covering 19 key resistance exercises for a total body workout. A door attachment which enables you to turn the Resistance Trainer in to a virtual gym is also included. Size: Industry standard length tube of 120cm/47" (including handles 155cm/61"). Caution: Contains Latex tube inside the nylon protection sleeve. for submitting product information about Fitness Mad Safety Resistance Trainer - Medium We aim to answer all questions within 2-3 days. 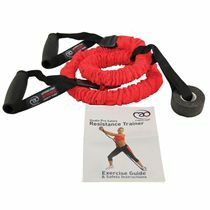 for submitting product information about Fitness Mad Safety Resistance Trainer - Medium. We aim to answer all questions within 2-3 days. If you provided your name and email address, we will email you as soon as the answer is published. 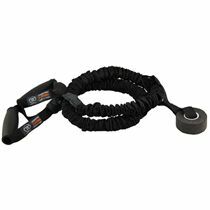 for submitting product review about Fitness Mad Safety Resistance Trainer - Medium.